Catapult Retail Point of Sale Suite is a mature system that takes advantage of the latest technology to help ensure that merchants have better control of their day-to-day operations. Customers will appreciate the benefits this technology brings to them – faster and more accurate checkouts – resulting in greater customer satisfaction. Merchants are amazed at the richness of Catapult’s POS feature set, which comes from years of experience meeting the needs of retailers. Catapult Retail Point of Sale is built with a “Unified Transaction Logic” which allows merchants to perform the same transaction, no matter how complex, any place, any way, and any time their consumers wish to make a purchase. With Catapult your point of sale, self-checkout terminals, e-commerce, and even smartphone apps share the same logic. To the merchant it means their promotions, loyalty incentives, discounts, work the same way, across the enterprise. No matter how a customer makes a purchase, one platform manages it all. It will change your whole organization. In today’s retail market, the walls that once separated digital and physical retail players are coming down fast; to be competitive in tomorrow’s market you must be both. With a transaction platform powered by Unified Transaction Logic™ you can begin engaging your customers where they are — everywhere. Catapult is the one software solution you can trust to keep your store checking out customers quickly and efficiently hour after hour, day after day. After many years of design and development, Catapult includes POS data redundancy. RegisterGuard was designed with the merchant, in mind. 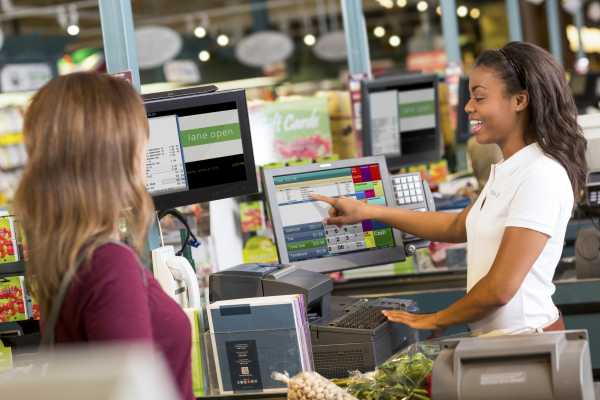 If the local network stops working, each Catapult POS terminal continues to operate independently without relying on the network to process transactions. Unlike competing systems, RegisterGuard ensures that nearly all of your POS functionality continues to operate as normal, even when the store network – or store database server – has stopped functioning. Point of Sale touch screen technology is a standard feature on Catapult. This breakthrough in flexibility allows you to design the POS screen around your specific requirements. While most systems offer a few choices at the point of sale, Catapult POS screens can be set up in an endless variety of configurations, including location, color, size, and font controls. Catapult also allows users to have an unlimited number of configurable menus and prompts to organize and streamline your cashier activity. It’s clear to see that the colourful high resolution graphical point of sale screens are easy to use from the first touch. 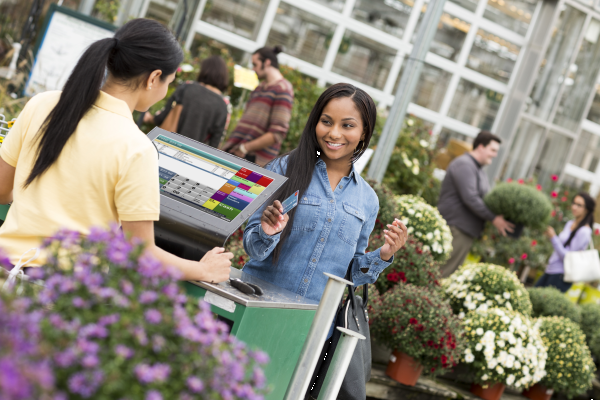 Managers find that training cashiers is easier than previous systems because of the streamlined order of screens and convenient messages prompting customers as they go along through transactions. Customer Tracking has been so central to retail management and marketing that Catapult Point of Sale has had this as an included standard feature since it’s inception. Paper Receipts – Merchants coming from other systems have preferences for their Point of Sale receipts. Catapult is able to accommodate those preferences with a receipt editor that allows the merchant to modify them as they see fit. eReceipts – When customers subscribe to a merchant’s customer tracking system in Catapult, they can be offered the feature of eReceipts to their personal email, which many customers prefer because they’re easier to find later, save the merchant paper cost, and it’s better for the environment, so it’s a win, win, win for everyone. While the merchant asks for the email for eReceipts, they can also inquire as to email marketing. If a customer opts-in great, if they opt-out, no problem, simply check the box next to eReceipts. Virtual Receipts – Every transaction in Catapult is tracked in it’s electronic journal, allowing for easy look up of any transaction by a variety of criteria. If customers are members of the customer tracking system in the store, receipts can be virtually tracked any time simply by looking up a customer’s purchase history at the Catapult point of sale. Gift Receipts – For gift shops, toy shops, apparel stores, and other stores where gift purchases are common, a gift receipt is a must have. Catapult can easily accommodate this request with an easy to use feature at the Catapult point of sale, and customized to the merchant’s tastes and operational preferences. Eliminate human errors, reduce theft and fraud, and reduce the paperwork burden with integrated credit and debit and gift card. Catapult is PA DSS compliant with the PCI Security Standards Council and supports a variety of Canadian integrated payments solutions with multiple credit and debit processors. Catapult offers a full-spectrum solution for gift cards, membership management, and customer loyalty, within the Catapult retail automation suite. All of these functionalities can be easily executed at the POS. 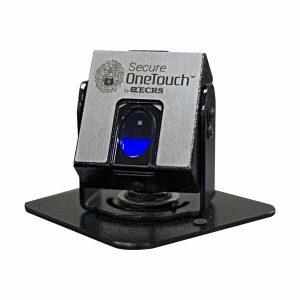 Fingerprint technology on point of sale terminals has taken employee and customer identification to 100% accuracy. At the press of a finger, cashiers can login, managers can perform overrides, customers can make payments (without credit cards or cash), collect points for loyalty programs, and apply e-coupons. Cashiers figuring out and reusing manager codes they have seen over their shoulders is a thing of the past. Your POS, inventory, and enterprise management data all work seamlessly in Catapult platform, in real time. There’s no need for enterprise headquarters to wait until the next day for point of sale data from stores. Catapult automatically synchronizes sales into the HQ automatically, while simultaneously synchronizing programming changes, new items, price changes, and worksheets automatically from head office to the stores.